Translation: Nem Kienzle The land is now public park space and some of the old military barracks have been converted into an art center. 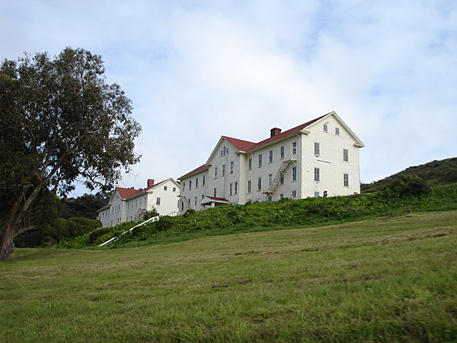 The art center, Headlands Center for the Arts, has attracted top artists since its inception in the late 1980s. Part of the appeal is the raw space, which seems to support nearly any intention. Three times a year the center opens its doors to show the work of current artist’s in residence. The Headlands Center for the Arts “Project Space” is open Sunday though Thursday from 0pm – 5pm where resident artist display working projects. The center also host public programs and artist talks.